Liverpool fans were left fuming after a fault with the BT Mobile App left them without access to the start of the club's away game at Dortmund in the Europa League. Shortly before the Thursday evening game got underway, BT confirmed that App users were not able to access several of BT's sports channels, including BT Sport Europe, which was covering the fixture in Germany. 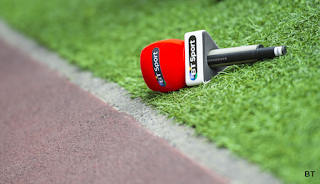 BT Sport 2 and BT Sport ESPN were also affected by the unspecified problem. After the game had got underway, BT claimed it had fixed the problem, only to receive a torrent of angry messages on social media from fans still unable to access the match via the App. Many users reported that they still couldn't Chromecast the match from the App to their TV. Some BT subscribers had received a free Chromecast in 2014 to enable them to continue watching BT Sport after their channels were withdrawn from digital terrestrial TV. BT has apologised for the glitch. Meanwhile BT Sport Showcase on Freeview channel 59 showed the all-Spanish Europa League clash between Athletic Bilbao v Sevilla in the channel's ongoing fetish with all things Spanish - the second all-Spanish clash shown free-to-air this week, and the latest in a line of free matches featuring Spanish sides, leaving British sides firmly behind the paywall.